This month, we will feature Pushcart Prize-nominated work from recent issues of Poetry Northwest, accompanied by photographs from the Poetry Northwest Instagram feed. This week: a photo-nostalgic poem from Troy Jollimore, one of our nominees for the 2014 Pushcart anthology. like soap bubbles into the air. the light flat, the colors garish and maudlin. of us, not once, to hold it up to a mirror. Troy Jollimore recently won a Guggenheim. 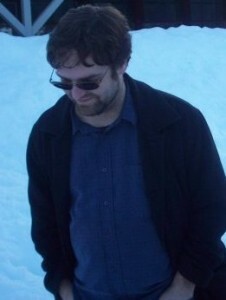 He has written At Lake Scugog and Tom Thompson in Purgatory, which won the National Book Critics Circle Award in 2006.